BlackBerry KEYone: Is It Worth Buying or Remains Just A Nostalgia? 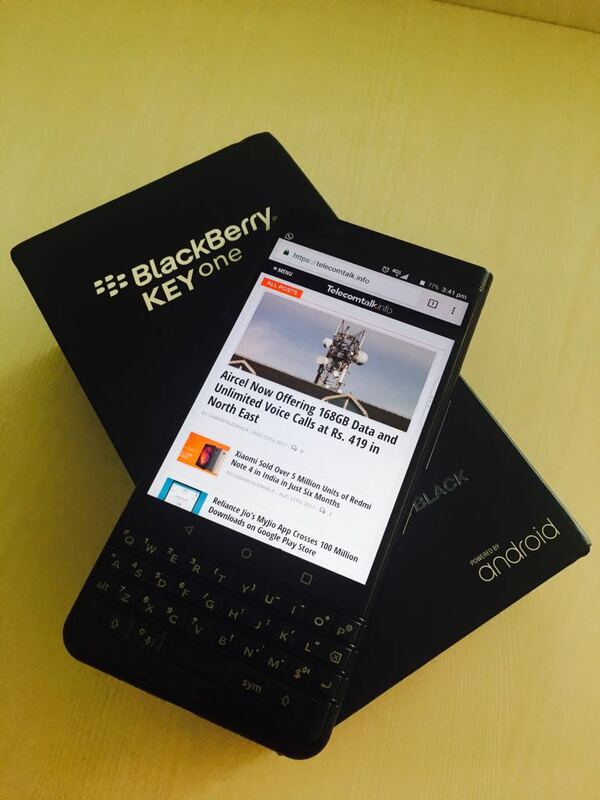 The recent years have been bumpy for BlackBerry since the rise in popularity of Chinese smartphones. With the pressure mounting on the company, BlackBerry also dabbled in Android and released its first Android device Priv last year, which failed to garner much attention and its later DTEK series couldn’t leave a lasting impression as well. While the BlackBerry brand lives on, thanks to TCL, the company has been fairly slow in catching up with the changing market dynamics. Earlier this month, BlackBerry added a new smartphone, the KEYone, to its less than impressive portfolio in India. 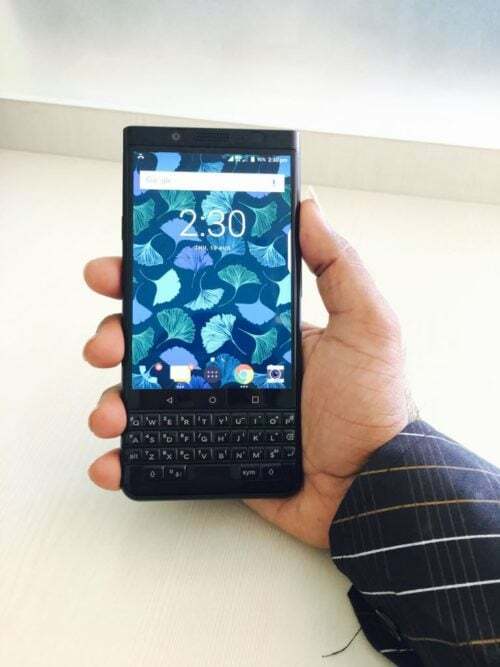 The BlackBerry KEYone offers a combination of a touchscreen and the physical QWERTY keyboard and competes with the likes of OnePlus 5, Honor 8 Pro, and even the Samsung Galaxy S8, having been priced at Rs. 39,990. Here is our take on the best features of the BlackBerry KEYone. The front of the device is dominated by a 4.7-inch HD (1620 x 1080 pixels) display with 3:2 aspect ratio, followed by the physical keyboard at the bottom. The volume rocker and a ‘convenience’ key sit to the right of the panel while the power button is on the left side of eth device. The rear panel comes with a textured faux leather design that gives a good grip with the camera module placed on the top left corner. 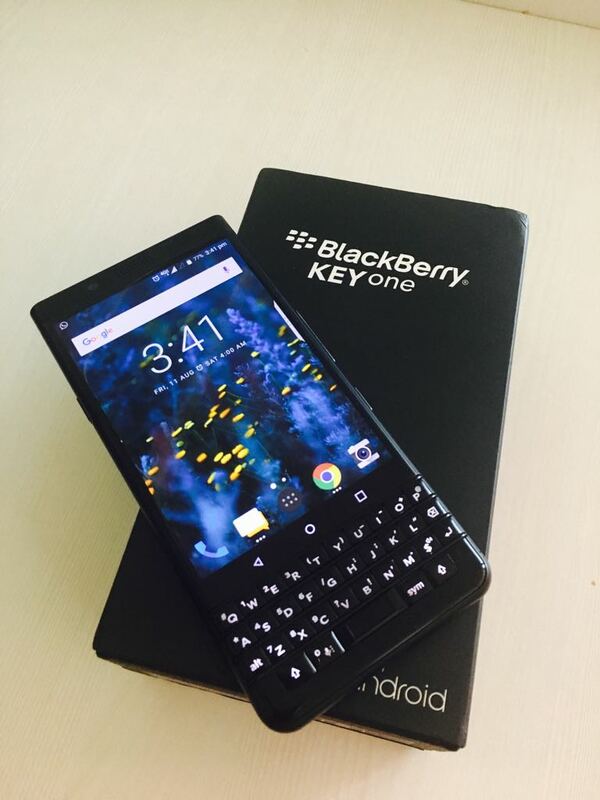 The good old QWERTY keyboard while offering the same functionality also comes with integrated smart features in the BlackBerry KEYone. The space bar doubles as a fingerprint scanner while unlocking the phone. You can also customize certain keys to act as shortcuts to launch a few apps. These keys are backlit to help you type in the dark as well plus also offers the option of ‘flick typing’. The best part of the KEYone being a hybrid phone is that you can switch back to the touchscreen keypad with just a few taps. The smartphone runs on the latest Android 7.1.1 Nougat operating system and being BlackBerry, the OS has undergone a few subtle tweaks. As is customary with the company, the KEYone comes with a slew of native apps such as the BBM, DTEK, and BlackBerry Hub. Although the UI is just shy of being a full-fledged stock Android, the additional software tweaks are quite smooth and useful. The BlackBerry KEYone is internally powered by a mid-range Qualcomm Snapdragon 625 processor which could, frankly, be improved in the face of a much more powerful Qualcomm Snapdragon 835 chipset found in the OnePlus 5 and Galaxy S8 smartphones. The chipset is coupled with 4GB of RAM. In the imaging aspect, the device features a decent 12MP rear camera with autofocus, PDAF, and supports 4K video recording at 30fps. The camera comes with a range of pre-loaded filters and also has a pro-mode for custom photography. There is also an 8MP secondary sensor that sits up front for capturing selfies and video calls. With Android powerhouses like the OnePlus 5 available at the same price range, the BlackBerry Keyone fades in comparison. If you are a BlackBerry fan, however, the KEYone is certainly a promising phone. Pricing is the only factor killing BlackBerry. Sad to see demise of another great brand.